The Alpine Ski Leader qualification, accredited by Snowsports Scotland, is widely recognised by Local Authorities in Scotland as the most appropriate award for skiers taking sole charge of groups in the mountain environment. The ASL award is for skiers taking sole charge of groups (often children) in the mountain environment. The award was originally developed in the 1960s, mainly for teachers and youth workers wishing to introduce skiing to young people from their own organisation, often without direct financial remuneration. The award covers a range of responsibilities including: planning, organising, supervising, leading and teaching. Candidates MUST register with Snowsport Scotland prior to the course. 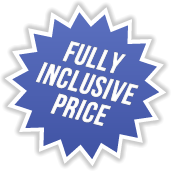 The cost is NOT included in the course price (currently £55 for U21s or £:60 for 21 and over). Participants must be able to ski basic parallel on groomed red slopes (showing good posture and control), use carving skis and have at least 20 days on-snow experience. Understand all levels of the Snowsports Scotland awards and be able to perform many of the activities up to Level 7 (please refer to www.snowsportscotland.org for further details). Before the full award is issued, a First Aid certificate (minimum 14 hour and HSE approved) must be sent to Snowsport Scotland - Interski can provide a 2-day First Aid in the Outdoors course at our offices in Nottinghamshire. Candidates will also be required to complete a 3 hour Safeguarding & Protecting Children Workshop before the full award is issued. Candidates must hold a CRB/Disclosure (not more than 3 years old). The ASL award offers the opportunity to gain technical competence in leading and teaching within the bounds of a resort in a mountain environment at home or abroad. It does not provide a professional instruction qualification and does not permit a ski leader to take their group off piste. As part of leading their group it may be necessary for a Leader to teach the group skills. A Leader is licenced and insured to teach their own group. A Leader may operate anywhere within the remit of the award. The award is limited to those travelling and working with their own groups and would be invalid in any other circumstances. Transport from Geneva airport to resort (or return executive coach travel from the UK). 7 nights half-board accommodation - twin (occasionally triple) share. Lunch vouchers for use on mountain. Candidates will need to make their own arrangements to get to Geneva airport for collection. Registration fees with Snowsport Scotland are payable directly and must be done pre-course, the current cost of which is £55. This is a 6-day course. This course is held in the Aosta Valley, Italy. Please note, new dates are always being added to our schedule, so please check back or call us on 01623 456333 if the date shown doesn't meet your requirements.